You are committed to a resolution- to lose excess weight and maintain an ideal body weight. 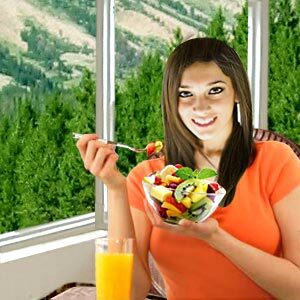 To fulfill the resolution you have adopted healthy dieting methods recommended by health experts. Weight scale moving backwards, changes in the way clothes fit and those encouraging comments from friends, you are excited and look forward to achieving the desired results quickly. In reality, it has not been that easy to diet assiduously. You aren't alone. Many men and women while dieting or otherwise routinely experience sudden and irresistible food cravings. It could be hot dogs, potato chips, ice cream, cookies and, yes, chocolate. Falling prey to food cravings can thwart weight control efforts. The best way would be to curb appetite, suppress appetite. Before it becomes too strong to ignore, you can take control. Follow these simple strategies and gain control over your appetite. Remember, appetite is a key factor related to dieting. Often times, appetite and hunger are considered as synonyms. They aren't, both have different processes. Hunger is the need for food, fuel for the body to function reasonably well. How does your body know that it is time for food? Where does the sense of hunger come from? A small brain structure called the hypothalamus is the center of hunger. The hypothalamus has important roles in the regulation and control of hunger. The hypothalamus has three main regions that have been scientifically associated with hunger, including the lateral, ventromedial, and paraventricular hypothalamus. These regions have been correlated with receptors for certain chemical messengers that signal hunger. Now let us understand appetite. It is biophyschological, a result of both our biology (hunger) and psychology (desires and feelings). Appetite is desire for food, a stimulatory response triggered by anything, thought, smell and sight of food. There are times when we eat not due to genuine hunger but due to the fact that it is time to eat, or we are catching up with friends, with a cup of tea or coffee, when we feel sad or need to relax. These are typical instances of eating when not being hungry genuinely. For easy understanding, this can be termed as pseudo hunger. Those who are working to shed unwanted pounds and inches should learn to differentiate hunger and pseudo hunger. To accomplish weight reduction resolution, you need to control appetite, curb appetite, suppress appetite and not hunger. The trick for us though, is in learning how to listen to our body and its hunger stimuli. 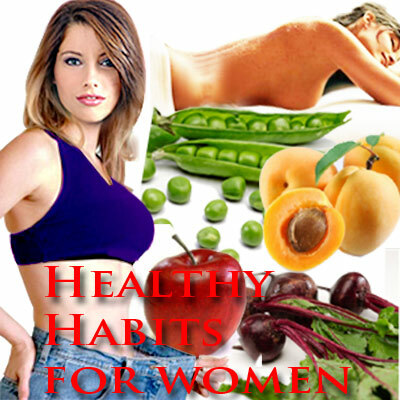 It is a key skill to help you reach and maintain healthy weight for life. Here are some tips that will not only help you curb habitual impulsive eating but will also help you determine genuine hunger. The circumstances of your eating - what caused you to eat, how you felt when you ate. Learn to identify physical signs of hunger onset, the signs your body gives when you are hungry. Eat when you start experiencing the signs mildly. If postponed, it can lead to excess consumption/overeating. Eat three balanced meals and healthy snacks in between. This helps to maintain energy levels, keeps you one step ahead of hunger and in control of food choices. Satisfy hunger by eating healthy selections of whole foods. Healthy foods keep you satisfied longer, help to control cravings and can therefore be eaten with less risk of weight gain. Eat slowly. Research indicates eating quickly significantly raises risk of being overweight. It takes 10 minutes to receive the signal that the stomach is full. Chew properly and enjoy eating. Eat slowly. It improves digestion and also prevents overeating. Sit down and focus on what you eat. Avoid distractions like listening to music or watching TV shows. Recognize the feeling of fullness. The wall of the stomach will expand with the food you have eaten and a signal will be sent to the brain. Studies show an evidence of a link between weight and time spent sleeping. There is a direct link between quality sleep and appetite. Those who do not get quality sleep will experience food cravings. Those who are denied quality rest may have problems with two hormones namely, leptin and gherlin. These two hormones work together to affect how hungry and full you feel. Leptin hormone works to decrease a person's appetite and gherlin hormone works to increase a person's appetite. Sleep deprivation lowers levels of leptin, the hormone that signals your brain when you are full. A lack of sleep increases levels of ghrelin, which stimulates your appetite even more than normal. Therefore you're left feeling hungrier and less satiated. Understand the importance of sleeping well and form good sleep habits. Use the bedroom for sleeping only and avoid watching TV, working or discussing. Maintain an atmosphere that makes you feel absolutely comfortable. It includes playing relaxing music, maintaining a comfortable room temperature, room set-up, curtains, pillows, bed and the lighting. Skip caffeine and alcohol before going to bed. Restrict intake during the afternoon and evening hours. Alcohol consumption may induce sleep but will contribute to disturbed sleep. You are likely to wakeup halfway through the night to urinate. Craving for food could be due to a reason. Sometimes, it is due to health reasons and sometimes it is due to addiction. If you are craving for sweets, you might have low blood sugar. If you're craving for fruits and vegetables, you might need vitamins or fiber. Strong milk craving almost certainly suggests a need for calcium or Vitamin D. A diet full of the necessary vitamins and minerals ought to knock down most cravings. Falling prey to craving can thwart your resolution to reduce weight and maintain an ideal body weight. Check these methods to conquer cravings. Remember, if you have eaten enough and are hydrated, it's possible to conquer cravings. Don't starve. Blood sugar levels can drop, make you weaker and you'll end up bingeing on the food you crave. Even otherwise, check blood sugar levels. Some cravings are the result of an imbalance. Make a list of food cravings. Sit down and analyze why you crave a certain food so much. Deal with the reason. It can help you suppress appetite. Research shows that cravings are actually very predictable, arriving at particular times and in particular situations. Put off the decision to eat for 15 to 20 minutes. The craving will dissipate. Survive fake cravings by chewing on sugarless gum. Study the craving pattern. Decide to get diverted. As you realize the craving creeping in, do something else different from what you are doing. Change the place, do chores, watch TV, run, jog or make a phone call or play with your pet. The feeling will usually pass. Take a whiff of vanilla scent to curb cravings. The sweet smell of vanilla tricks you into thinking you already satisfied your cravings for sugars. Exercise significantly improves mood by releasing chemicals (endorphins) into the bloodstream, and will definitely help you to control your urge to eat. Lose belly fat. Belly fat makes you hungry because it makes a hormone called neuropeptide Y. Keep healthy snacks around. There can be situations, especially for those who are on a restricted-calorie diet. It can really get tough. Go for a fruit piece or a raw veggie. Cheat yourself. Instead of giving in totally, eat the thing you are craving for in very less quantities. Eat plenty of foods rich in calcium because sometimes food cravings can be traced back to a deficiency in calcium. Get support. It makes managing cravings easier. Consider joining an online community that provides support to reduce cravings. Finally, even after the 15 to 20 minutes and after a glass of water, if the feeling doesn't subside, it's probably legitimate. Satisfy the craving with a healthy choice of food. Deprivation often results in over-eating. Fuelling your body adequately is important. So, choose foods that help curb appetite. There are several foods that can make you feel fuller, aid in weight loss and to improve your overall health. Choose foods that are high water, high-fiber foods like fruits and vegetables. They add bulk to your meals and help fill your stomach. Foods containing water, air, or fiber have fewer calories than other foods and also cause the stomach to stretch and empty slowly. Consider lean protein. It keeps you fuller than other nutrients, needs more time to digest and absorb. Lean proteins are one of the best foods to eat to get rid of sugar cravings since most sugar cravings come from not eating enough protein. Try to get at least one ounce of protein at breakfast. You will feel more satisfied and end up consuming fewer calories throughout the day. Drink whey protein. Research indicates whey protein helps you release appetite-suppressing hormones that curb food cravings. Choose solid foods over liquids. Eating solid foods rather than drinking liquids can also help you feel fuller. Drink a glass of vegetable juice before meals. It suppresses appetite, makes you eat 135 calories less. Don't skip breakfast. Skipping breakfast makes your already low morning blood sugar drop even more and this will cause you to have massive food cravings for the rest of the day. Choose green tea over coffee. Green tea is a potent appetite suppressant and it's also an all-natural fat burner that helps you burn up to 43% more fat. Avoid refined or processed carbs (mainly sugar) like fluffy white breads/bread snacks, regular sodas, most breakfast cereal, sweets, candy, cookies and cakes. These foods cause your blood sugar levels to rise very fast and then crash very quickly making you crave for more sugar (refined carbs). Limit your salt intake. It contributes to worsening of cravings and gain unwanted water weight. Eat some fat with every meal. Foods containing fat are best at tiding over appetite and should definitely be part of any diet program. Do not eat foods with high saturated fat and sodium content. When you get stressed out you usually overeat because your body releases a hormone called cortisol that makes you yearn for food. A relaxed body and mind can never indulge in overeating. Researchers have proved a direct link between stress and weight gain. The relaxed and calm mind can easily relate to the food it is using. The choice would definitely be healthier and better than a strenuous and tensed body. A calm and relaxed mind promotes optimal digestion of food and assists in weight management. So, take control of your feelings. Practice ways to channel unconstructive and unhelpful thoughts efficiently. Consider and join yoga classes. Practicing yoga will stimulate your metabolism, curb appetite cravings, strengthen your body, and increase flexibility. First Published Date: 5 Oct 2010 Last modified Date: April 18 2019 This page may have been updated recently as new information is available or the content may have been edited for better readability.